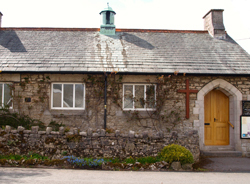 Storth Village Church is a small but very friendly chapel and is a combination of Anglican and Methodist although not an LEP. The two congregations joined together several years ago to make better use of the facilities. The building is a Methodist building and is maintained under the auspices of the Methodist Connexion. We have a number of retired clergy among the congregation who are included on the plan. Our regular congregation usually numbers around 25, but we often have visitors who are in the area, some of whom we know well. We have a team of five stewards who are responsible for supporting the preachers each week. Sunday worship is usually at 10.30am. Children are welcome and there are almost always children’s activities.